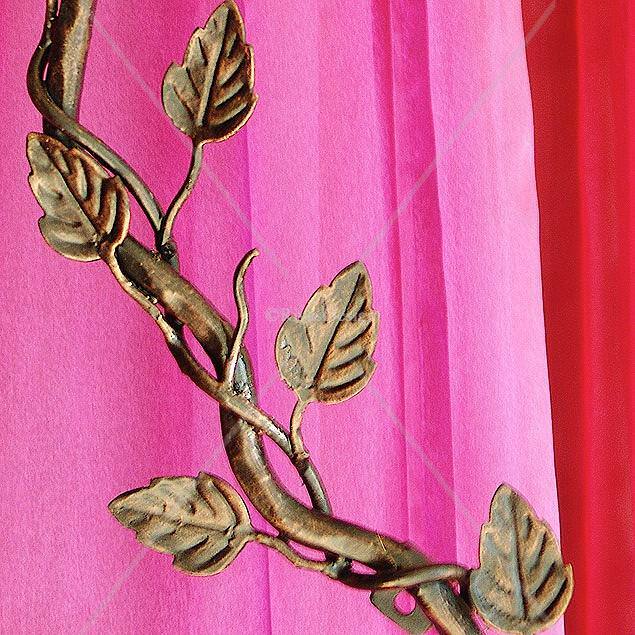 This piece is one of my feminine trellis designs created for those spaces where something delicate is needed to balance the final landscaped look. It's 'the delicate necklace with a black dress' softening touch. 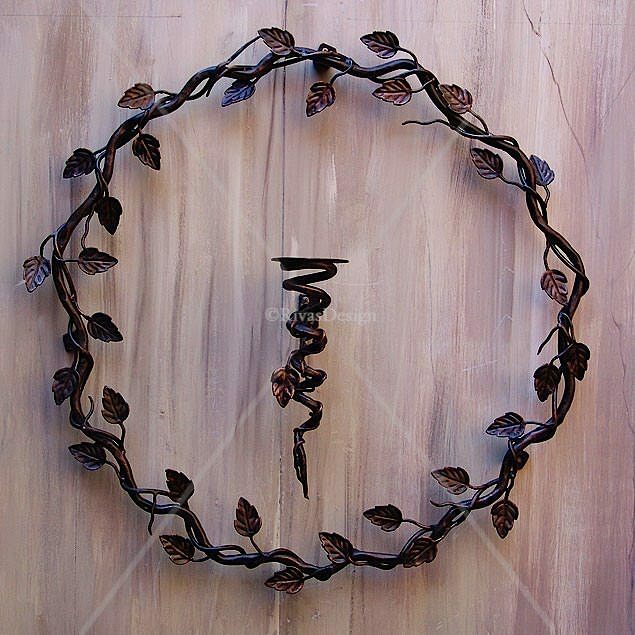 Masses of individual leaves on stems twisted around a thick rod create a solid wreath-shaped trellis designed for spaces where detail and beauty can be used to soften the finished look. Available in two sizes, allowing you to use them on a small or large wall. 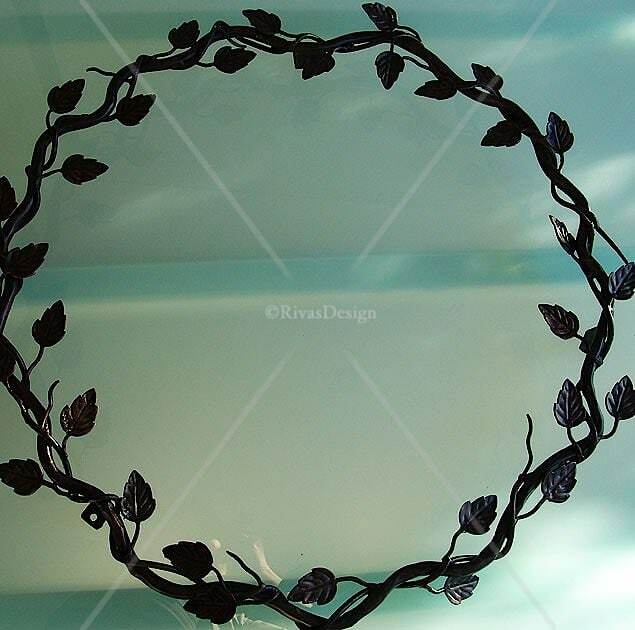 These two circular leafed trellises are available in two sizes large 900mm or small 750mm. Used alone or together, their delicate shapes make them beautiful courtyard features. Designed so that the large and the small trellises will fit one inside the other if desired. These trellises sit 40mm off the wall, casting gorgeous leafed shadows in sunlight spots. There is also a wall mounted candle holder available in this design. 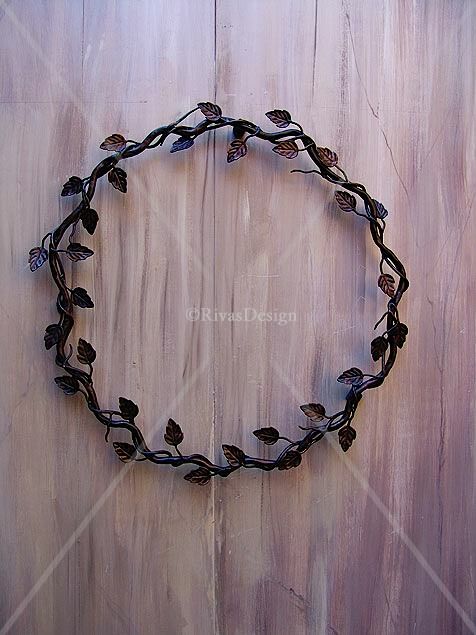 This galvanised trellis is available finished in black or black brushed with copper. Delivered Australia wide - ready to hang | Sydney| Brisbane | Melbourne | Adelaide | Perth.